Fleming County High School's mission is to prepare students to be college and career ready by providing a rigorous and relevant academic environment where students are both challenged and supported by their family, staff, and community. In an effort to align all district systems toward this goal, the district has adopted the new AdvancED Standards for Quality School Systems as our roadmap to reach our destination. 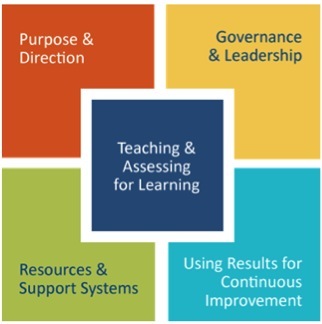 The Standards for Quality School Systems assists the school district in remaining committed to strategic continuous improvement.